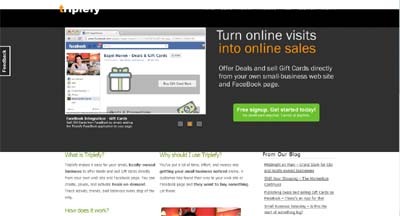 Triplefy makes it easy for your small, locally-owned business to offer Deals and sell Gift cards directly from your own web site and FaceBook page. Beats the competition by giving you more control with the deals you offer. You can create, pause, and activate Deals on-demand. Track activity, trends, and balances every step of the way.